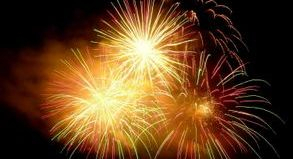 We provide quality Fireworks displays that have to be seen to be believed ,here at S.C.P you wont get boxed shows with no user input and more black sky than pyro. We customize & personalize all displays and never will you catch us ending a display the same way twice !!. Proudly SA owned & operated ,"When S.C.P come's to your town we love your applause , in return we will rattle your windows and shake all your doors ". Hope you enjoy looking around our site and can find what you need .